One great thing about living in the Marshall Islands is the abundance of amazing tuna that we can get so fresh and cheap. 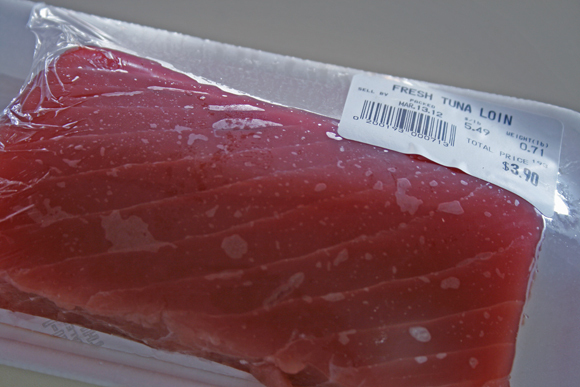 We do not have many other choices but I am still very happy every time I get fresh local tuna. 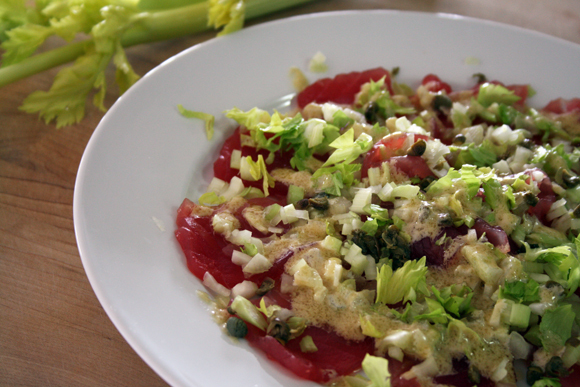 Here is a very refreshing tuna recipe. You can make it in less than 10 minutes. 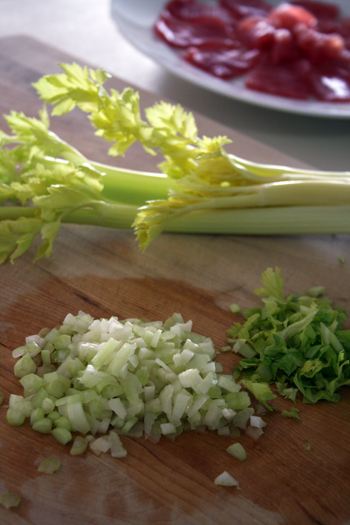 1 - 2 stalks (5-6 tablespoons) celery hearts with leaves (soft inner part is better) ....diced. 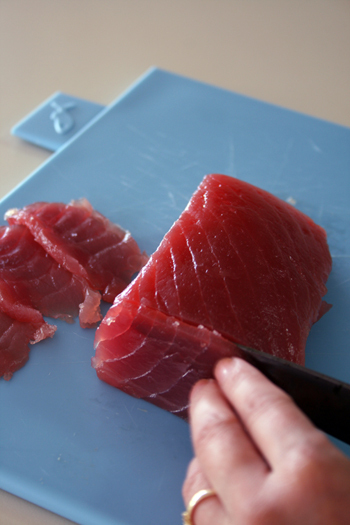 Cut tuna against the grain into thin slices. It does not have to be super thin like you do for beef carpaccio. Spread them on a serving plate. Chop the celery stalk, leaves and capers into small pieces. Scatter them evenly over tuna. 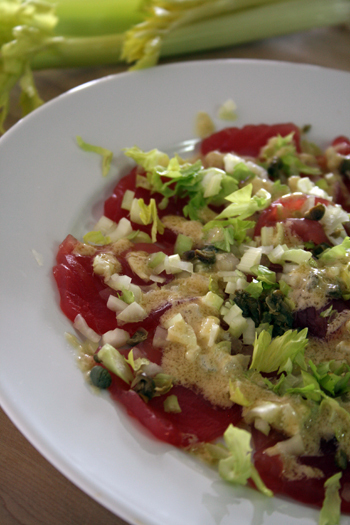 In a small bowl, combine the rest of the ingredients and mix well and drizzle it over the tuna carpaccio.